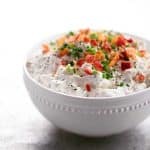 This Loaded Baked Potato Dip recipe is easy to make. 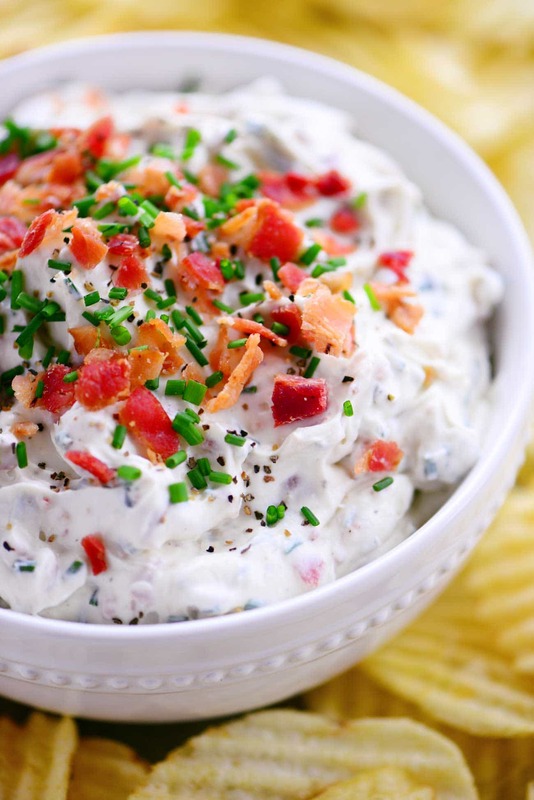 A creamy dip with bacon is the perfect party appetizer when served with potato chips or waffle fries! I’ve got a funny story about this recipe. I made this dip, shot the video, took the pictures and shared the dip with a bunch of middle school and high school kids. They loved it and I loved it. 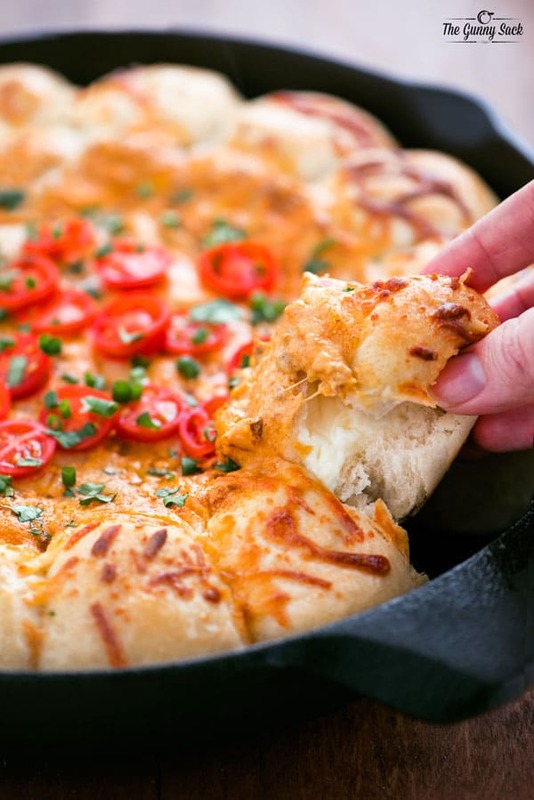 I edited the video and edited the pictures and then realized that I never added the shredded cheese to the dip!! But NO ONE missed it. Not the kids, not me while I was eating it and not even while I was editing the video and photos. Moral of the story is that you can add shredded cheese to the dip but you probably won’t miss it if you don’t. 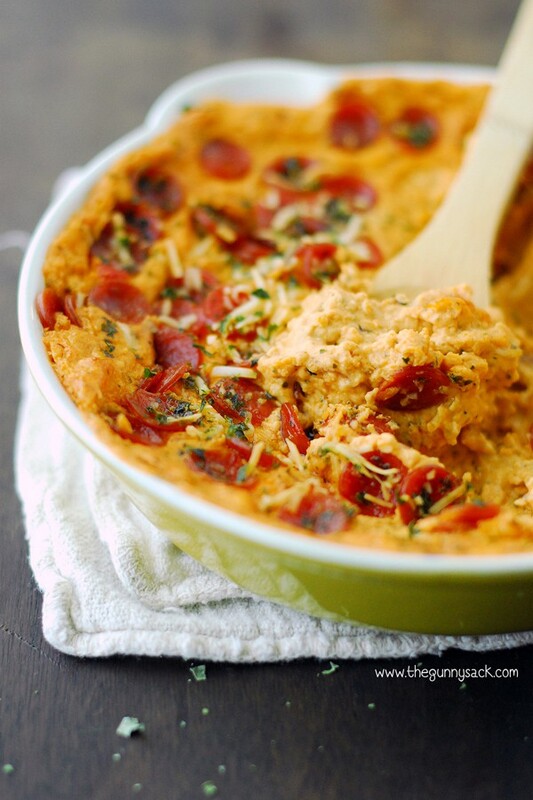 To make this Loaded Baked Potato Dip, start by chopping cooked bacon and chives. 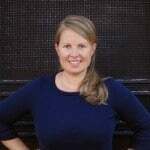 To save time, I used store-bought fully cooked bacon. If you are really in a hurry, you could try bacon bits. 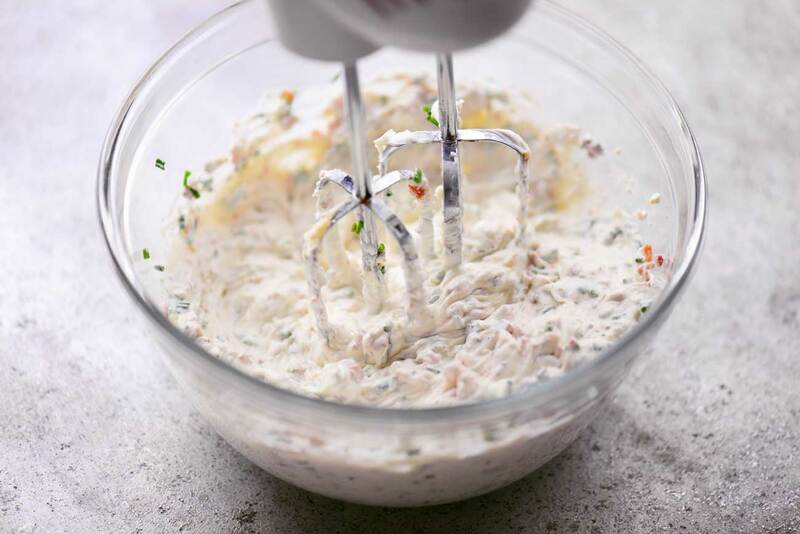 Put the sour cream, cream cheese, powdered ranch, garlic powder, chopped bacon and chopped chives in a bowl. Mix until combined. You could stir it by hand if your cream cheese is soft enough but I prefer using either a hand mixer or a stand mixer. 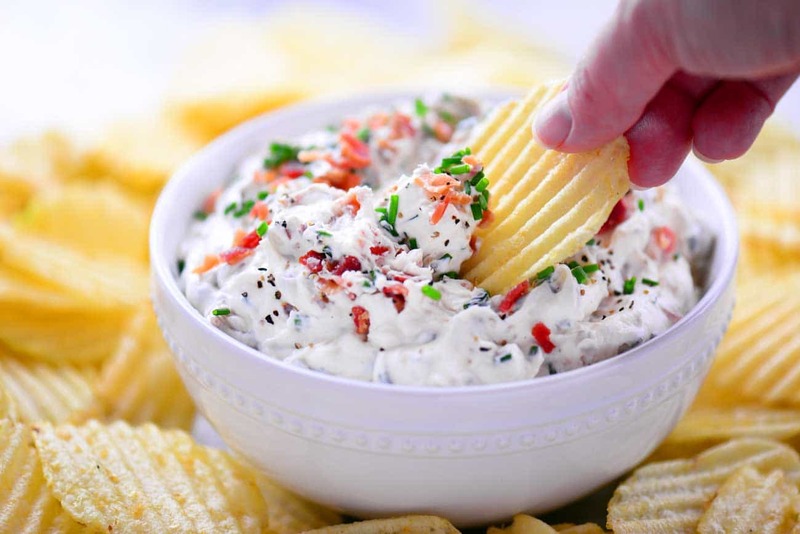 Scoop the dip into a bowl and top with a little chopped bacon, chopped chives, and black pepper. 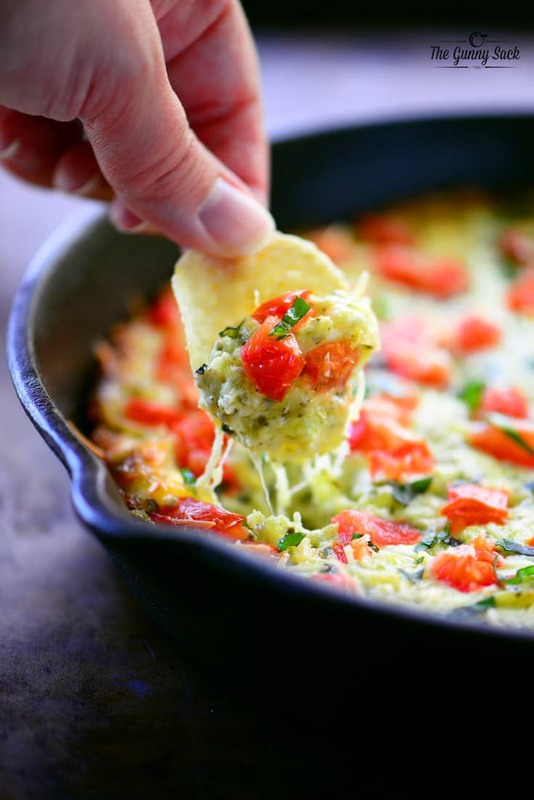 Cover the dip and refrigerate for at least one hour or overnight. Serve with potato chips, waffle fries, french fries or baked potatoes. 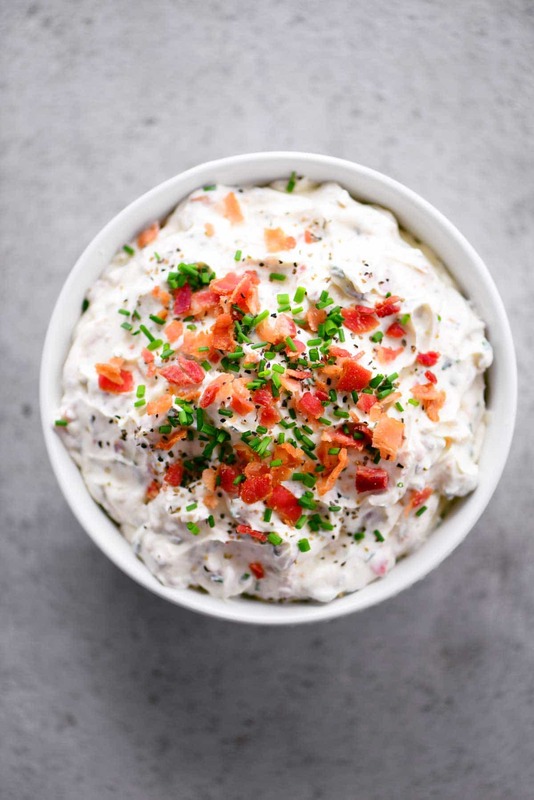 This Loaded Baked Potato Dip is so easy to whip up and I love that you can make it ahead of time. It’s a great appetizer to bring with when going to a friend’s house! 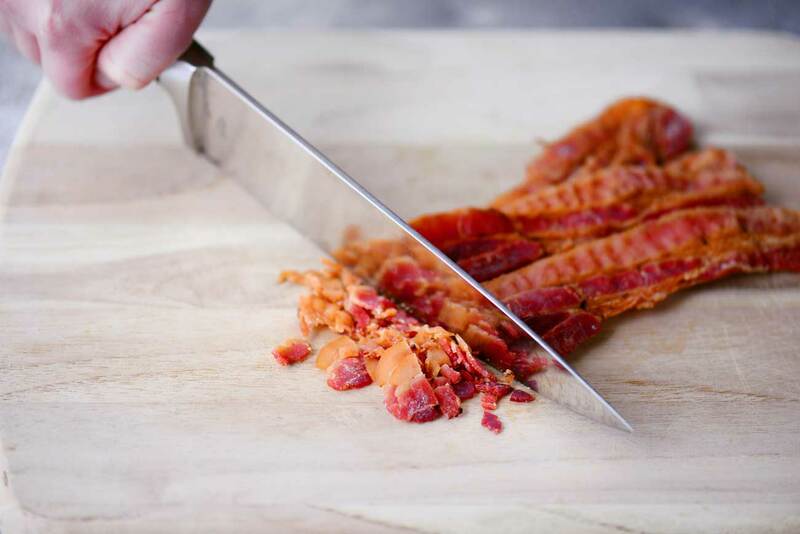 Chop the cooked bacon and the chives. Set aside a little of each for garnish. 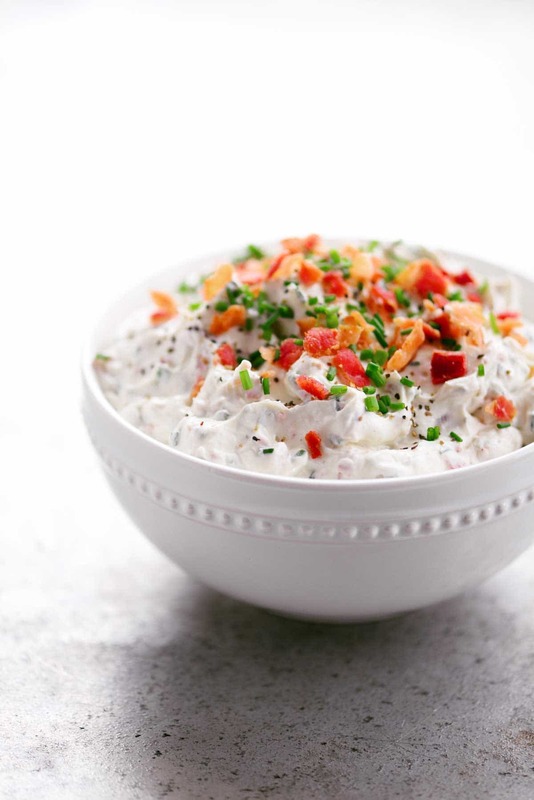 Put the sour cream, cream cheese, powdered ranch, garlic powder, chopped bacon and chopped chives in a bowl. (Add shredded cheddar cheese if desired.) Mix until combined. 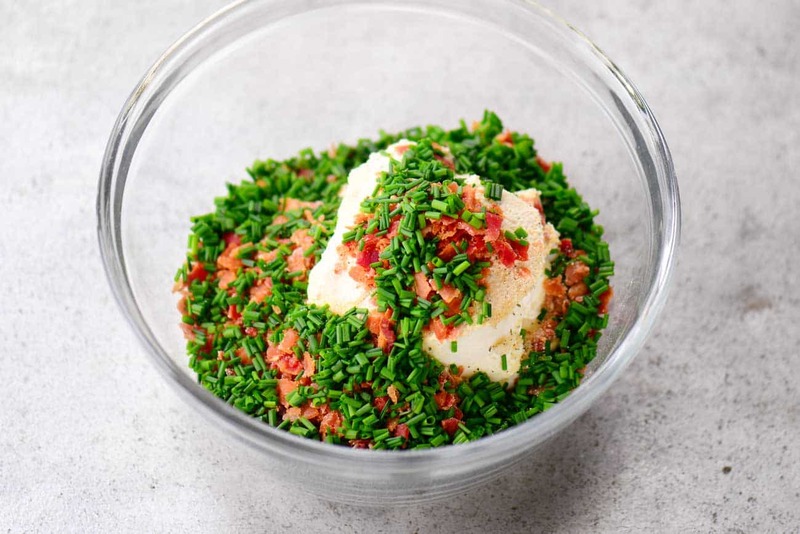 Scoop the dip into a bowl and garnish with the chopped bacon and chopped chives that were set aside and black pepper. Serve with potato chips or waffle fries. Mine is so thick I can’t even pick it up with a chip, could I add more sour cream?